This Blog mainly talks on how to get rid of problems of importing various kinds of camera footage such as Canon, Panasonic, Sony, JVC, etc to popular editing tools such as FCP, Avid, iMovie, etc for editing and some hot media players for playback. 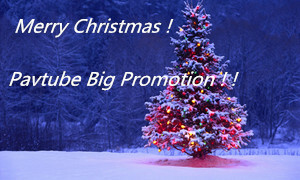 Just join us to know more! Have interests in uploading Canon XC10 XF-AVC 4K MXF to YouTube, Vimeo or Facebook for sharing? That’s exactly an awesome idea! But do you know the best video codec for uploading? If not, you may get some troubles there. Fortunately, best solutions are offered here to upload the Canon XC10 XF-AVC 4K MXF to YouTube, Vimeo and Facebook. How to upload Canon XC10 XF-AVC 4K MXF to YouTube, Vimeo and Facebook? If you are looking for an easy and direct way, you may wish to read this post. Canon has recently announced the development of XF-AVC, a new proprietary video format for the efficient recording of high-image-quality 4K, 2K and HD video footage. XF-AVC is mainly targeting professional-use 4K video camcorders, such as the most recent Canon XC10 4K Camcorder, which delivers enhanced workflows across various stages of the production process, from shooting to editing. Canon XC10 uses XF-AVC movie recording format, employs the MPEG-4 AVC/H.264 video compression format, and stores shootings in an MXF wrapper. MXF is a “container” or “wrapper” format which supports a number of different streams of coded “essence”, encoded with any of a variety of codecs, together with a metadata wrapper which describes the material contained within the MXF file. MXF has been designed to address a number of problems with non-professional formats. 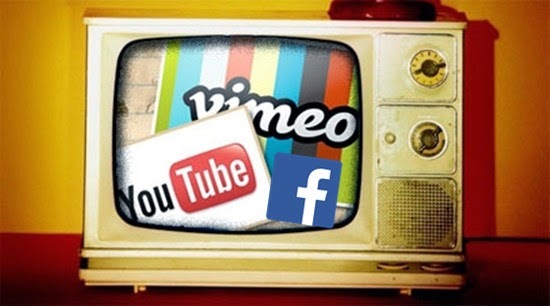 Since YouTube/Vimeo/Facebook has their best supported video formats, why can’t we convert all the video formats to those suitable ones for YouTube/Vimeo/Facebook. 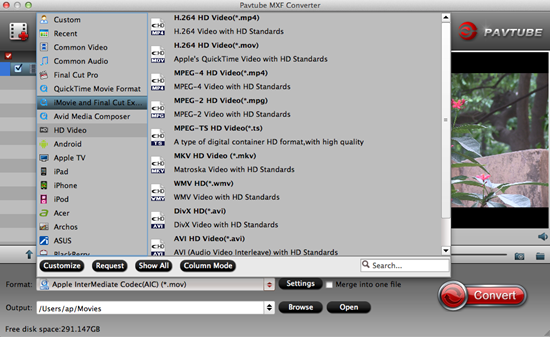 Powerful converting assistant Pavtube MXF Converter for Mac is highly recommended here. 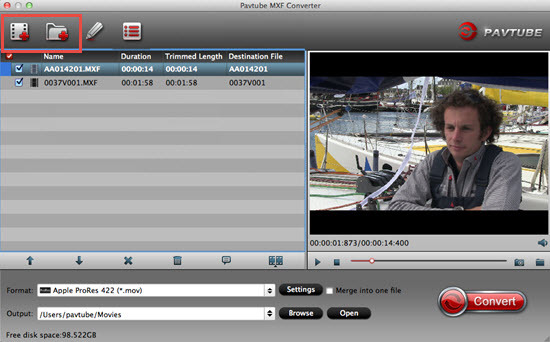 If you are running on Windows, you can refer to the equivalent version Pavtube MXF Converter. As well as encoding the edited video back to normal files for sharing with friends, it can adjust our output videos with our own favorite settings. Step 1: Backup your MXF files from Canon XC10 to hard drive. Install and launch MXF Converter for Mac. Drag and drop MXF files to the software. You can import multiple files at once thanks to “Add from folder” button. Step 2: Click the “Format” bar and come to the output list, here we should select the different output items there. For example, choose the “Flash Video>>FLV H.264 (*.flv)” for YouTube. Or “HD Video>>AVI HD Video(*.avi)/H.264 HD Video (*.mp4)” individually for Vimeo and Facebook. Step 4: You can preview to check the final result. Once you are satisfied with it, click the “Convert” button to start converting Canon XC10 XF-AVC 4K MXF for uploading to YouTube/Vimeo/Facebook flawlessly. It will take you a little while. Conclusion: From Canon XC10 XF-AVC 4K MXF to supported videos for YouTube/Vimeo/Facebook, such the easy operation job you can do well. Just have fun for sharing wonderful XF-AVC 4K MXF videos captured by Canon XC10 on YouTube, Vimeo and Facebook with your family and friends! Import AG-HPX600 P2 MXF to FCP X without Rendering on Mac: However, when you tried to import some Panasonic P2 MXF files to Final Cut Pro X, you just find that this may be hard work, especially on Mavericks or Yosemite. Mac MXF Workflow - 2015 Top 5 Best MXF Converters for Mac: MXF bundles together video, audio, and programmed data, such as text - together termed essence - along with metadata and places them into a wrapper. Importing AVI Files in to Davinci Resolve? Choppy 4K Playback in VLC on Windows Sloved! Pavtube Studio. Simple theme. Powered by Blogger.